Dietrich von Hildebrand was a German Catholic philosopher, professor, and writer who recognized the dangers of National Socialism and Nazism from the start. He fled Germany in 1933 because he felt he could not remain under such a regime, and when his professorship at the University of Munich was threatened, he proudly chose to submit himself as a “non-aryan” even though he did not consider himself Jewish. This book is a collection of pieces from his personal memoirs (which he wrote for his second wife, who was much younger and wanted to share in his experiences), followed by several short essays expounding on his beliefs. Interspersed throughout the memoirs, and as a preface to each essay are helpful notes by the translator/editor to set the scene and bring cohesion. The writings themselves are like reading the diary of a giant in the faith, and I appreciate the editors’ choices of which of his vast writings to include. 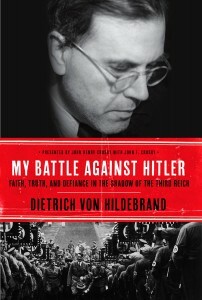 There are slower parts as Hildebrand reflects on day-to-day issues, touching personal reflections of his mistakes and the depth of his faith, exciting insights of historical moments, and brilliant commentary and philosophizing of important social issues and evils. His life and words are a powerful and timely message for today as he urges the church not to compromise by making ungodly alliances, or by participating in social injustice by remaining apathetic. His bold warnings against anti-semitism and what he calls an “unfortunate peace” with Hitler (and thus, the spirit of the anti-Christ) are powerful, especially with the rise of anti-semitism today. I particularly liked Hildebrand’s distinction of patriotism versus social nationalism, and his similar discussion on the value of a community in bringing out the individual, as opposed to the mass of people, which strips all individuality and diversity in order to create an enthusiastic wave of unity. Hildebrand was a significant voice in his time, even making it to the top of the Nazi’s hit list; and he is one worth taking the time to listen to today. I received a complimentary copy of this book from Image Books. 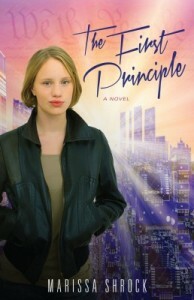 This story is intriguing: Clara is a teenage runaway who is traveling the world to get away from a tragedy in her past. On an airplane she meets Elias, who struggles with an unusual case of Dissociative Identity Disorder. 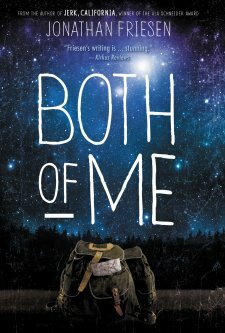 The two accidentally switch backpacks, then become unlikely companions as they each search for healing, identity, and belonging. I don’t expect Christian fiction to always be spiritually oriented (often the indirect message is more powerful), but I do expect it to be in some way edifying. As much as this story interested me–and would likely catch the attention of readers within the identity transition of young adulthood–the underlying spiritual message was not positive or beneficial. Elias has deep problems that are not appropriately addressed or resolved. Clara receives partial healing, but the Christian element is brought into her life awkwardly and without the necessary depth (actually, the “healing” spirit is more “New Age” than Christian). The ending solidified my dislike for this book. Despite the difficult themes and attitudes of the characters, I think there was still room for a redemptive message. The circumstances of the ending did not bother me as they were true to the characters; but the overall spirit of the story was uncomfortable for me, as was the absence of God’s truth. The characters’ journeys were not completed in an inspiring or godly manner, rather in the poetic realism that often characterizes “good” secular writing. The writing itself is strong: metaphors and imagery are pulled together, the characters are vivid and likeable. 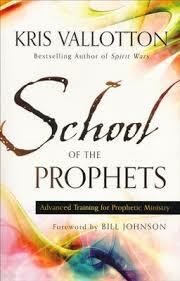 But I would not recommend this to a Christian teen.